«We know pretty much about how Russia would respond in a conflict situation which could escalate in to strategic confrontation with nuclear weapons,» Grandhagen said in a speech delivered in this week’s Army Summit 2018 in Oslo. According to Grandhagen, a former land forces commander and intelligence chief, Russia would do whatever it can to protect its long-range ballistic missile systems, a key part of which is situated in the Kola Peninsula. That would include a rapid establishment of a so-called bastion defense in a wide range around the Kola Peninsula, including in the Norwegian Finnmark region, Grandhagen argues. And this is not only a naval concept, but also has a lot to do with land territory, he made clear in his address. «Imagine for a second, that you are the commander of Russia’s northern military district responsible for the defense of Russia’s most valuable assets. You look at the map and you realize that your key bases are located within artillery range from what you would label NATO territory. Could you live with that? Well, I couldn’t,» Grannhagen underlined, and added that a Russian ground operation against Finnmark consequently must not be excluded. «I think it is not only a possibility, but indeed quite likely, that the Russian bastion defense would include a limited ground operation against Norway’s northeastern county of Finnmark in order to reduce the risks of land-based threats to the key Kola bases,» he said. He believes it would not be an expansionist annexation of territory, but solely the establish of a buffer zone deep enough to prevent unwanted disturbance of the crucially important activities on Kola. 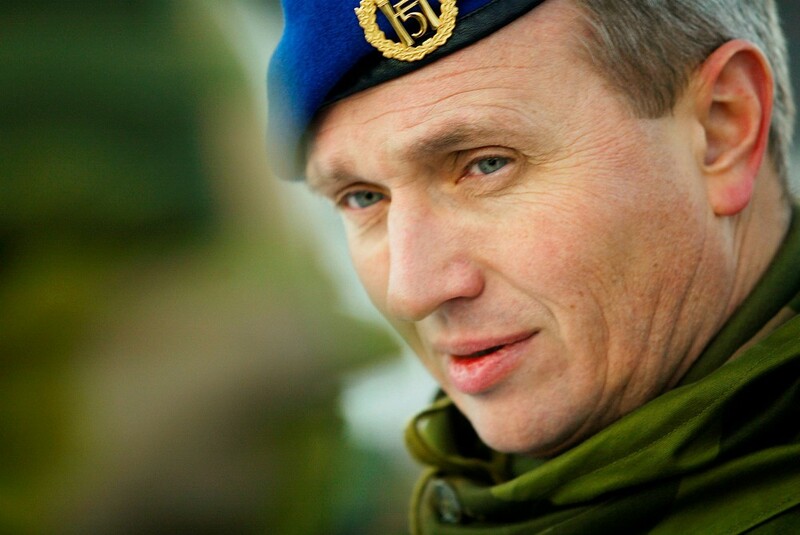 Kjell Grandhagen has a long military career which includes the leadership of Norwegian military intelligence in the period 2010-2016. He was one of several keynote speakers in the Army Summit 2018, an annual event organized by the Norwegian Ministry of Defense. The conference was streamed and the presentations are available online. Grandhagen’s speech comes as new satellite images reveal a massive Russian rearmament in the Kola Peninsula, only few kilometers from Norway. As reported by the Barents Observer, Russia is building about 50 brand new reinforced large weapons bunkers at Okolnaya Bay north of Northern Fleet main base Severomorsk, as well as in submarine base Gadzhiyevo. 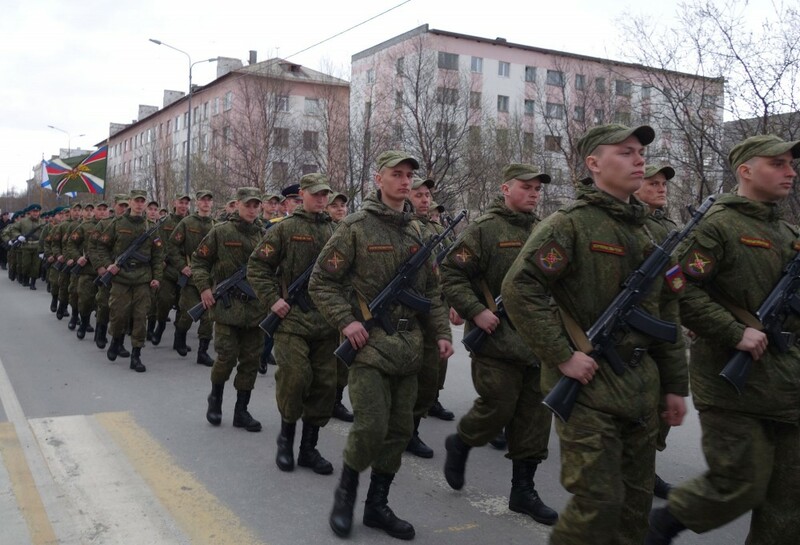 The military buildup is significantly strengthening Russia’s military power and its bastion defense capability in the Barents- and Norwegian Sea. Lieutenant General Kjell Grandhagen argues that Russia over the past decade not only has boosted its naval and missile capacities in the north, but also significantly strengthened its ground force capabilities. Several recent exercises, including the enormous ongoing Vostok-2018, shows a major capability to quickly move forces across the big country. The response from the Norwegian side, Grandhagen underlines, must be a significant strengthening if the army. «Norway should afford a full-standing brigade equipped with the best weapons systems money can buy, including state-of-the-art tanks, long-range artillery, air defense systems and not to forget integral helicopters for small unit transportation medical evacuation and deployment of other elements,» he said at the conference. Ground forces are «absolutely indispensable», the retired lieutenant general said. He disputed critics who argue that it will be impossible for Norway to defend Finnmark and that the region should be surrendered in case of a conflict.